The interior of a precast concrete wine cellar. This Spiral Cellar features a wooden trap door. The retractable round glass door puts your collection on display. 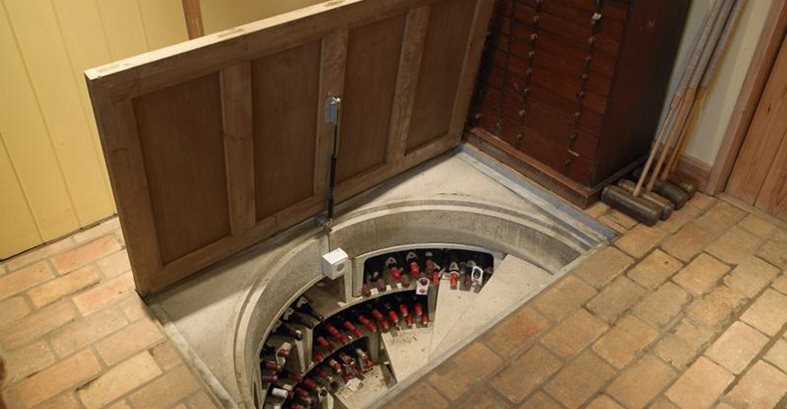 If you've always wished you had your own wine cellar then look no further. 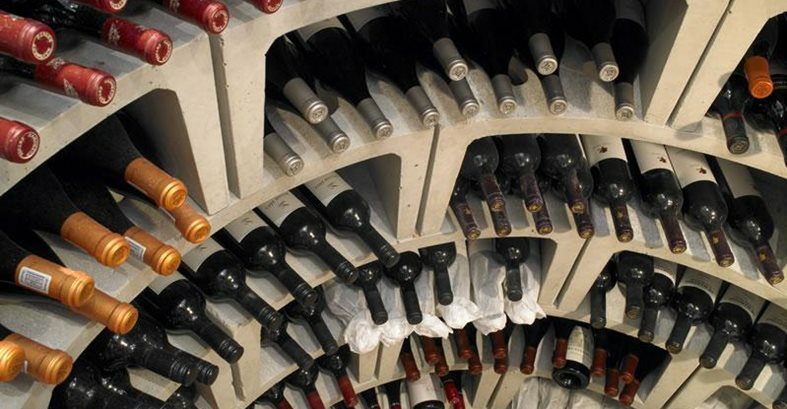 UK based Spiral Cellars makes precast concrete wine cellars that can be installed in 5-9 days. The cylindrical system is watertight and can be located in your kitchen, garage, study or virtually any other room. For existing construction, Spiral Cellars will excavate a hole and install the concrete storage system. For new construction they suggest having your contractor plan and dig for the cellar during construction. Spiral Cellars' precisely placed vent pipes and insulation from the surrounding earth allow for exact temperature regulation. Three cellar sizes are offered: mini, original and the white spiral cellar. 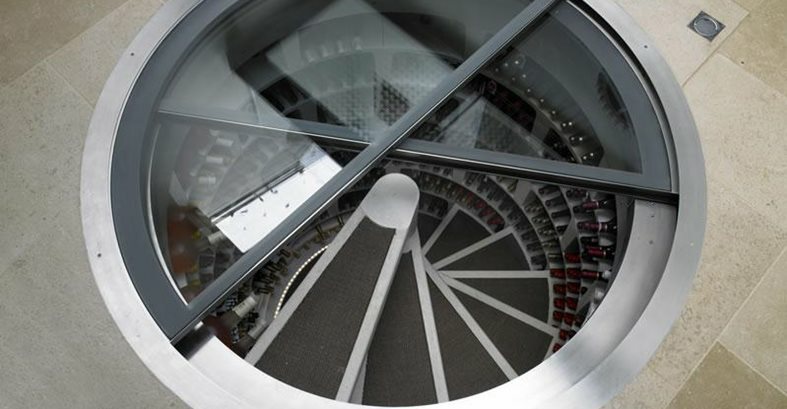 The mini can store up to 770 bottles of wine, while the original has room for 1600. The white cellar, which is the largest (1870 bottle capacity), features a smoother more luminous concrete which keeps labels from being scratched and provides better lighting for showcasing your collection. View more uncommon concrete items.